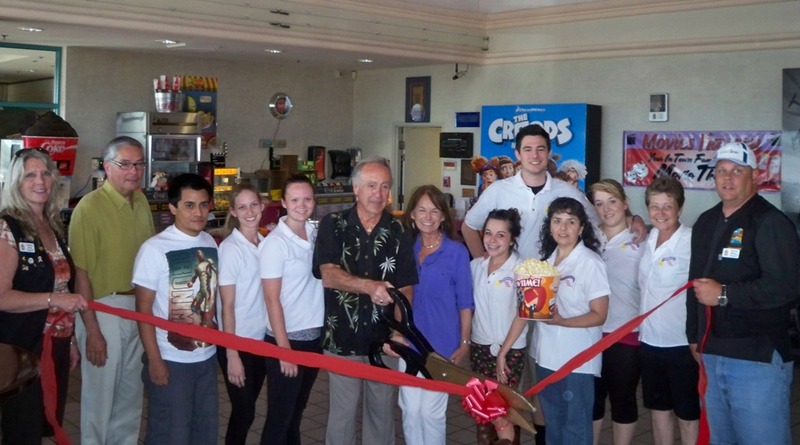 The Lake Havasu Area Chamber Ambassadors held a ribbon cutting ceremony for Movies-Havasu celebrating its new Chamber membership. Attending the ribbon cutting from left to right were Audrey Hoyt, Jonathan Barr, Louie Rodriguez, Hollie Takacs, Kinley Fenderson, Hank Garcia, Lori Adragra, Dannzy Guimond, Griselda Leyva, Brandon Vanderpas, Kelsey Collins and Dennis Weuve. Hank Garcia and Bob Gran built Movies-Havasu in 1994 and Hank is carrying on the legacy of this family run movie theater. The theater screens have all been updated to digital and Dolby 3D digital. New seating with be installed this summer. For more information visit Movies-Havasu at 180 Swanson Ave.